Callum Abbot, Portfolio Manager of the JPM UK Equity Plus Fund, an active extension strategy, gives his views on markets over the last month. January is often considered the most miserable month of the year. It has all of the downsides of December but instead of festive cheer there is the rather hollow feeling that follows glutinous indulgence of food, drink and credit card debt. Short, dark days, cold grey weather, backed up by the feeling of failure that inevitably comes with setting then, oft, immediately breaking unachievable new year resolutions. But for many in the investment world January was welcomed with open arms. It was an opportunity to draw a line under a torrid Q4. A mental resetting of the clock. This is not to say that 2018 is forgotten but the monkey is no longer on the back and that brings with it an element of relief that reduces emotions, particularly fear, and allows investors to focus on fundamentals. The FTSE All-Share was up 4.2% in January, putting a small dent in the 10% fall experienced in Q4 of 2018. This was relatively muted compared to the bounce back seen in some indices with the S&P 500 and MSIC Europe ex UK up 8% and 6% respectively. China slowdown augmented by trade wars, Fed raising rates and shrinking its balance sheet and Brexit. These macro factors have not gone away but recent headlines have eased concerns about an imminent recession and allowed the market to reflate. Chinese – US trade negotiations are progressing, the Fed has completely changed their messaging on rate hikes and even on balance sheet shrinkage and parliament have voted against a hard Brexit. As concerns about the cycle eased it is perhaps unsurprising that those stocks that were most beaten up in Q4 ’18 were the best performers. Pro-cyclical stocks rallied hardest and as Brexit fears eased UK domestic stocks tended to outperform. Typically defensive stocks delivered negative returns with telecoms and pharma stocks delivering falling in January. 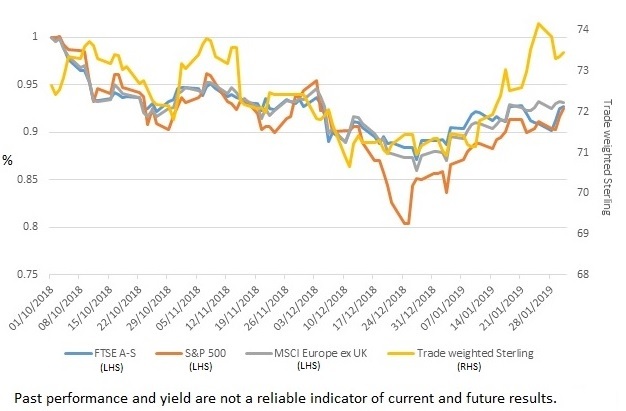 Given earnings expectations for the market are being negatively revised, a question investors need to ask themselves is can this rally sustain itself. Macro headlines could once again pressure the market down, but fear has created some exciting valuation opportunities and with earnings season about to get into full swing we believe the market will return to focus on stock fundamentals over the macro which can prove blunt in its treatment of stocks. The market has taken this positively as a signal of an easier monetary environment which is good for asset prices. The implicit message that the macro has weakened seems to have been looked through. 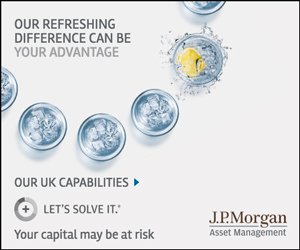 Callum Abbot is a portfolio manager for the JPM UK Equity Plus Fund and the JPM UK Equity Core Fund.